Kinder Morgan Energy Partners’ (NYSE:KMP) Trans Mountain Pipeline Expansion Project plans to twin the the pipeline that carries crude oil from the Alberta oil sands to tankers in Burrard Inlet, British Columbia. This is the only pipeline from Alberta to the West Coast providing access for oil sands production to reach markets outside North America. The expansion will triple the carrying capacity of the pipeline from 300,000 barrels of oil equivalent per day(boe/d) to 900,000. This has become a concern for environmentalists: in 2007, Kinder Morgan operated the pipeline that burst in Burnaby, British Columbia, spilling a large amount of oil into Burrard inlet, and a smaller spill happened in January, 2012 at the company’s Abbotsford facility in the Sumas Mountains. 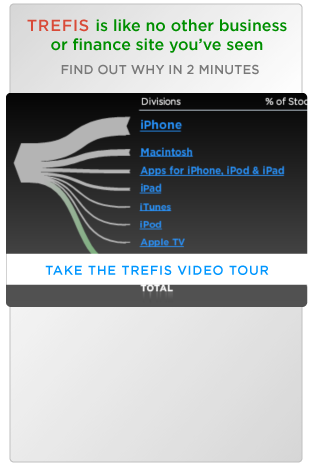 Trefis has a price estimate of $83 for KMP, which is about 10% below the current market price. As far the company is concerned, this project represents just under one-third, or $5.4B, of its current $17.0B capex budget. Kinder Morgan believes that this project can deliver a steady stream of future cash flows. 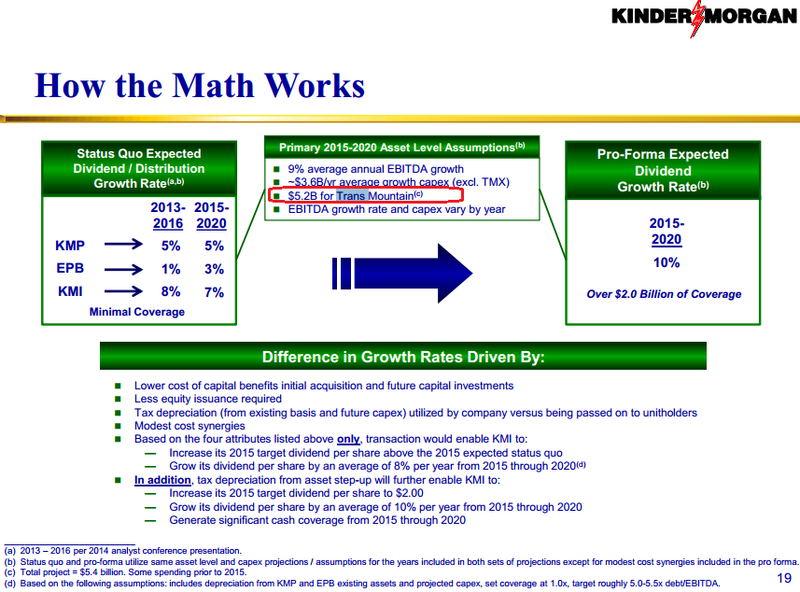 As the image below taken from a company presentation makes clear, the company’s targeted 10% annual dividend growth rate presupposes $5.2 billion in annual spending on the Trans Mountain pipeline. Any further delays in this project might impact the company’s profitability significantly. Considering the economics of oil transportation, it is possible that project can triple Kinder Morgan’s revenues from the Canadian crude transportation segment. Midstream assets work on long-term contracts and generate stable cash flows derived from fee-based revenues. Pipelines are usually low-risk assets as they are not extremely sensitive to the prices of the commodities being transported. Transportation contracts are generally based on volumes and fluctuations in the price of commodity do not impact the contract prices directly.